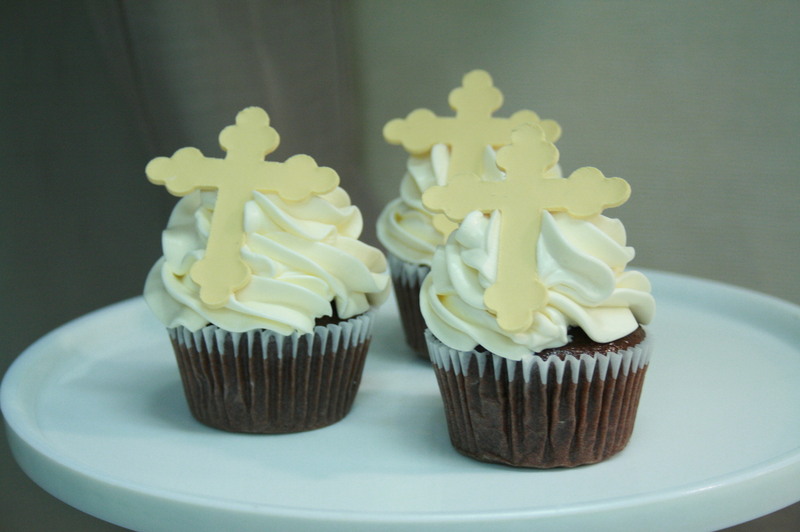 These cupcakes feature a handmade cross made out of rolled chocolate. Pricing includes customer’s choice of (1) color for the cross, on either vanilla or chocolate buttercream. 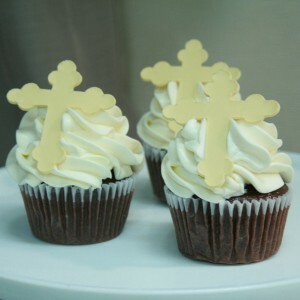 Shown as chocolate cupcakes with a “light matte gold”color Ornate cross placed on vanilla buttercream. One dozen minimum per standard cupcake flavor/design. This design is available with 1 weeks notice or if ordered by Wednesday for the weekend.